Podcasts are one of the best ways to grow your knowledge, learn skills and understand the world better. I have been a fan of podcasts since 2008 and have found them highly valuable. In this article, I will share podcast suggestions you can use to get ahead at work, become more productive and become better informed. Before we dive into the list, let’s briefly cover a few reasons why podcasts are worth your time. Podcasts are free. It is always helpful to have a free or low cost professional development resource. Podcasts are available on demand. If you’re busy, you can always listen to a podcast available. Audio podcasts make commuting, errands and chores interesting. Daily commutes to the office and errands suddenly become less boring when you have an interesting podcast to listen to. Podcasts give you a broader perspective. It is easy to get stuck in old habits and take in information from the same old resources. Interview based podcasts are a great way to access new perspectives from authors and other experts. Getting ahead at work and becoming more productive matters and you need every advantage. Use these podcasts as a resource to inspire, instruct and motivate you to work on your professional goals. In production for over ten years, this podcast is simply outstanding. The intended audience is managers yet there is much value from other professionals as well. The podcast has covered topics ranging from annual reviews, email best practices and how to plan an offsite event. Produced by the Manager Tools organization, the Career Tools podcast provides advice and instruction for the individual contributor. This podcast has been a great resource for me in my career and in building this website. Topics covered include business travel, calendar management, tracking your results and effective business relationships. Becoming more productive is important for knowledge workers. Most of us have considerable autonomy in how we run our days after all. Hosted by fellow Canadian Mike Vardy, the podcast includes interviews with experts in productivity, time management, minimalism and brain science. 4. How Did You Get Into That? I find career origin stories fascinating – I often wonder how people got started in their careers. Presented by Grant Baldwin, this 100+ episode podcast explores a variety of careers with a focus on entrepreneurs. If you are curious about other careers, this is a helpful resource. Here are some example episodes: How to Be a Professional Organizer with Lisa Woodruff, How To Become a LEGO Master Builder with Chris Steininger, and How to be an NBA Mascot with Jeff Goodin. Tip: Want to know how entrepreneurs built their companies from scratch? I recommend Mixergy and Entrepreneur on Fire – both podcasts have interviewed over 1,000 entrepreneurs. From time to time, we need a broader perspective that goes beyond our day job. With these podcasts, you will learn about the forces driving the business world. While you may not find immediately actionable tips, these podcasts will equip you to ask better questions. Have you ever been frustrated by the complexity of economics? This is the podcast for you! I first discovered this podcast years ago and it has been very helpful. Hosted by economics professor Russ Roberts, this podcast has done multiple episodes on the financial crisis and other topics. Here are a few episodes to get you started: Russ Roberts and Mike Munger on How Adam Smith Can Change Your Life, Richard Fisher on Too Big to Fail and the Fed, Adam Davidson on Manufacturing. Harvard Business Review is one of the world’s top business publications. It is also one of the more expensive business publications so not everyone can afford it. The IdeaCast podcast is a great option to access HBR insight for free and quickly (most IdeaCast episodes are short). For those interested in goal achievement, I recommend listening to episode 504 – Achieve Your Goals (Finally) with Heidi Grant Halvorson (access the MP3 file directly by clicking here). Economics and business have never been this interesting! If you like the style and storytelling of This American Life, you will find Planet Money outstanding. The emphasis on interviews and exploring economic questions that you’ve always wondered about is what you will get. Here are a few episodes to try out: An Insider Trader Tells All, How Four Drinking Buddies Saved Brazil, and The Humble Innovation At The Heart Of The Global Economy. Diving deeply into your profession and industry is another way to use podcasts to grow your career. 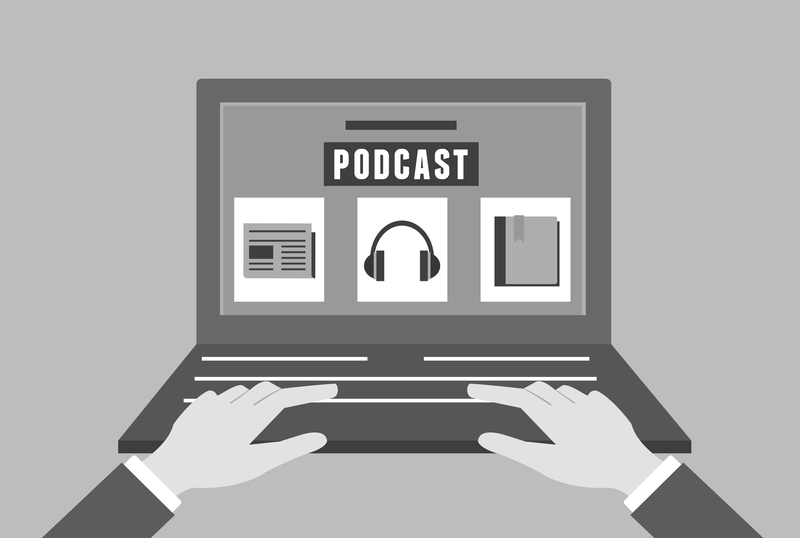 In this section, I highlight some of the best podcasts for project management and specific industries. The Internet’s longest running project management podcast is a valuable resource for those in the profession. Hosted by Cornelius Fichtner, I have learned a lot from this series. There have been great episodes on risk management, PMI certifications and leadership. For those seeking to earn continuing education credits (i.e. PDUs), Cornelius offers a guide to 60 Free PDUs. Tip: Are you seeking to earn the PMP certification? I recommend the Project Management PrepCast – it was a key resource I used to earn the PMP in 2015. For more information on my PMP experience: 5 Lessons Learned From Becoming a PMP. Hosted by fellow Canadian Cesar Abeid, I find this interview based podcast helpful. The podcast has covered themes such as leadership, change management, public speaking and the scrum approach. I was also pleased to support Cesar Abeid’s book, Project Management For You Kickstarter campaign. Hosted by project management consultant and educator Andy Kaufman, this podcast uses an interview format and covers a wide range of topics. Kaufman’s energy and wide ranging interests adds a great deal to this podcast. On a personal note, I did an interview for the podcast in 2015 and expect to see it published online soon. As an investor and a professional, I’m interested in the financial industry. Fortunately, many podcasts explore the industry. McKinsey, the global consulting firm, publishes this podcast with a focus on major trends and investment banking. In my research, I have not found a good industry podcast about the retail banking or wealth management. That said, there are podcasts on personal finance and “how to” investing topics that are interesting (e.g. the Value Investing by John Mihaljevic is excellent.). Microsoft is one of the world’s most important technology companies for business and consumers. Many project managers and IT professionals either specialize in Microsoft products (e.g. Office 365, Microsoft Dynamics or SharePoint) or use these products heavily. The podcast goes a wide range of IT topics such as deploying Windows 10, cloud computing services, and big data. Tip: Do you want an in-depth podcast dedicated to Microsoft? Check out the Windows Weekly podcast hosted by Leo Laporte, Mary Jo Foley, and Paul Thurrott. Let’s conclude today’s article with a few podcasts that have nothing to do with business or careers. These selections reflect my interests in wine, history and running. If you’re interested in those areas, you will enjoy these podcasts. I appreciate wine on many levels and that includes learning about it! This conversational podcast covers the world of wine in a fun and educational way. There are whole episodes dedicated to the wine regions of France and Italy. I also enjoy the “how to” episodes such as Serving Wine at the Right Temperature and Versatile Valentine’s Day Wines. One of my 2016 goals is to run a marathon race. I also love the podcast tagline: “Empowering you to run a marathon and change your life.” This podcast has been a helpful resource for motivation, suggestions and tips to help me perform. I have also had good experiences with the MTA products such as the half marathon training plan. One of my all-time favorite episodes explores the mental benefits of running: The Runner’s Brain – Interview with Harvard Psychologist Dr. Jeff Brown. Resource: In 2015, I wrote this article to explore the career benefits of endurance sports: The 9 Career Hacks of Successful Marathon Runners. History has been a passion and interest of mine for many years. Some readers may have had a bad school experience with history. Dan Carlin’s outstanding podcast will open your eyes to the human drama and struggle of the past. This podcast is unusual for two reasons: the podcast episodes are long (usually over an hour) and the release schedule is difficult to predict. In 2015, there was a GREAT multi-part series on the First World War called, “Blueprint for Armageddon” (part 1 is over 3 hours long). This long running BBC radio series offers biographies of great men and women throughout history. The series does have a British emphasis but it is not exclusively British. I have written a few articles inspired by biographies (e.g. 6 Success Principles from Elon Musk and How to Lead Like Winston Churchill) and cannot encourage you to study them enough. Here are links to a few of my favorite episodes: Roman writer Juvenal and French writer Michel de Montaigne.